It is easy to make a mistake when you are using a screen as small as the one that is on your iPhone, so you may find that you need to undo a lot of actions. Your iPhone has a feature called “Shake to Undo” which can often be quicker than going back and manually undoing something. But it can be an aggravating feature if it happens a lot by accident. 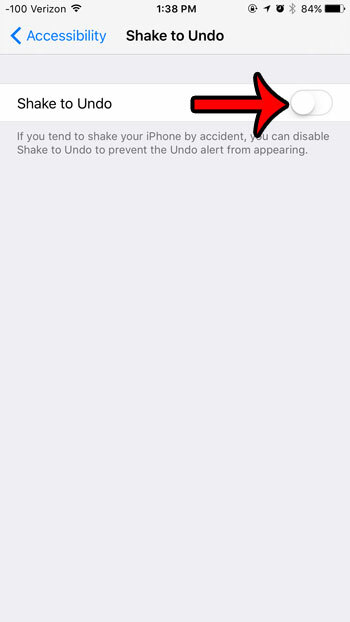 Fortunately iOS 9 allows you to toggle the “Shake to Undo” feature on or off. Our guide below will direct you to this setting so that you can turn it off if you are not using it. 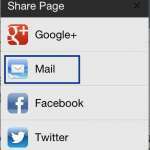 The steps in this article were performed on an iPhone 6 Plus, in iOS 9. 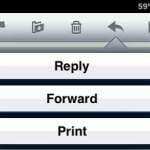 This option was only made available in iOS 9, so iPhones running versions prior to that will not have this option. 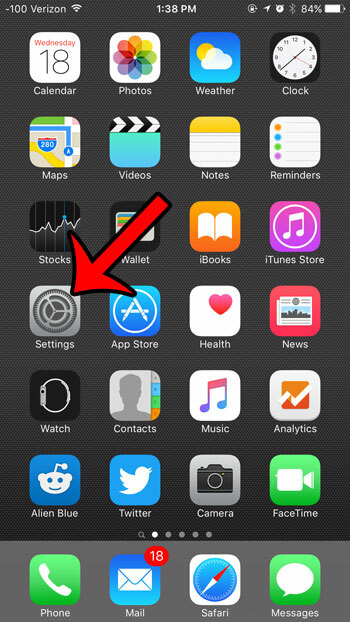 If you are not sure of the iOS version that is on your device, you can find out how to check your iOS version here. 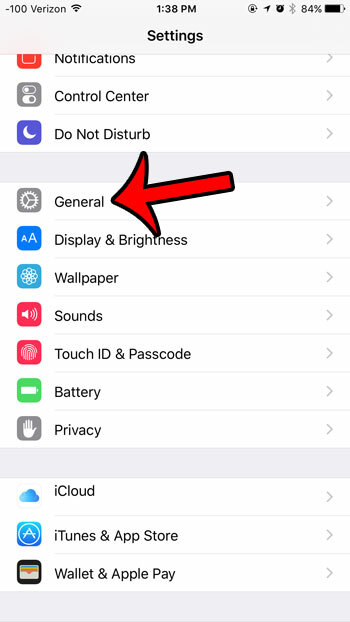 Open the iPhone Settings menu. 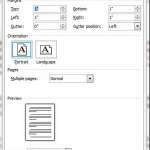 Scroll down and select the Accessibility option. Scroll down and tap the Shake to Undo button. Tap the button to the right of Shake to Undo to turn it off. 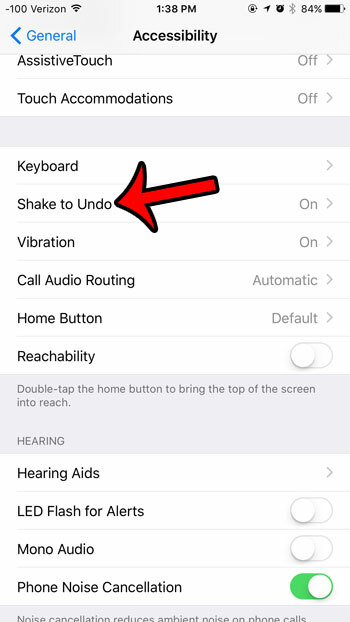 Now when you shake your iPhone, either intentionally or unintentionally, you will no longer get a pop up that asks you if you would like to undo your previous action. The iPhone will simply not register the device shaking as something to which it needs to react. Does it seem like you are using a lot more mobile data after you have updated to iOS 9? It may be due to a feature called Wi-Fi Assist that will automatically use cellular data if your Wi-Fi signal is bad. 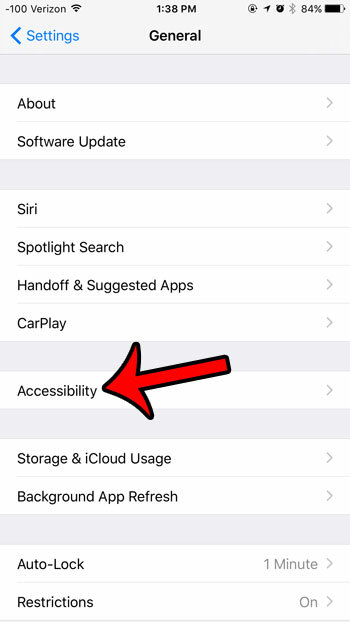 Learn how to turn off Wi-Fi Assist in iOS 9 if this is something that you would like to stop.